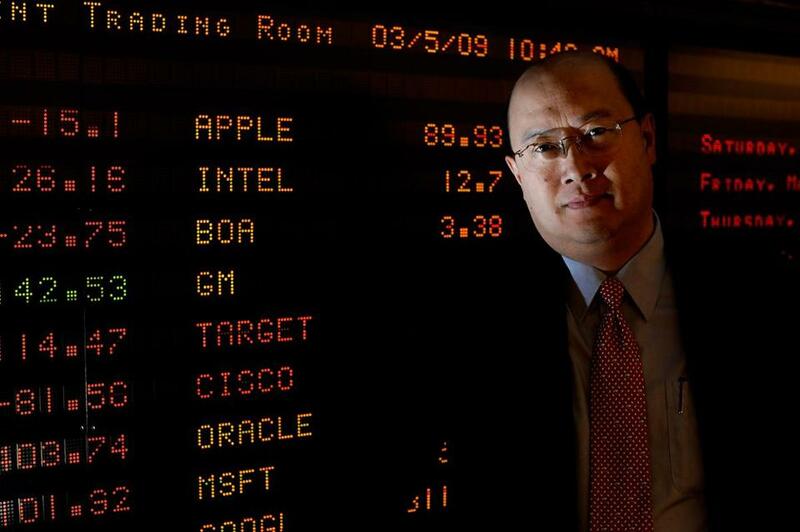 MIT finance professor Andrew Lo in Cambridge in 2009. Three years ago, MIT finance professor Andrew Lo proposed rallying private investors to raise an eye-popping $30 billion to develop cancer drugs. A California congressman plans to file legislation next week that would create a more modest version of Lo’s plan: A $400 million fund to finance development of drugs for rare diseases — with the federal government acting as a backstop, providing financial guarantees to attract private investment. If it works, Lo said, taxpayers could profit and patients could get access to new treatments. The rare disease market has already generated considerable interest from investors and entrepreneurs. Local companies such as Genzyme Corp., Sarepta Therapeutics and bluebird bio Inc. have built their business models around developing drugs for illnesses that afflict 200,000 or fewer people in the United States. Though the markets are small, such companies can charge high prices. But Lo — who has also devised and managed experimental investment funds to mixed success — believes there’s a dire need for more aggressive drug development. And Representative Juan Vargas, a California Democrat from the biotech-rich San Diego area, plans to introduce legislation to make it happen. Vargas’ chief of staff, Tim Walsh, said the bill would not put the government in the role of “picking the winners or losers” in the biotech industry. The government would be in the background, he said, letting the private sector make those decisions. Under his bill, the managers of the proposed megafund would scour academic labs, biotech, and pharma companies to identify and invest in compounds with therapeutic potential. The fund would also invest in compounds already under development by the National Institutes of Health. Those investments would pay for further research on the drugs. If experience is any guide, typically only a handful of such developments show enough promise to merit large-scale testing; the fund would sell those off to biotech and pharma companies that could bring them to market. “I think there’s a tremendous amount of impact for these kind of investments,” Lo said Thursday in a video broadcast by MIT Sloan School of Management. Economist Robert Graboyes called Lo’s proposal “admirable,” but said he’s wary of a business model that involves the government. “I suspect you will get much more of a conventional wisdom version of innovation — things that the top people in the profession are thinking of, rather than the out-of-the-box ideas that no one had thought of,” said Graboyes, a research fellow who studies the economics of health care at the Mercatus Center at George Mason University. The legislation would authorize up to $400 million in financing through a technique known as securitization, which involves pooling assets such as loans and selling them off to investors. The tactic is controversial; some economists blame securitization for fueling the housing bubble that led to the recent recession. But it would allow the fund to tap a far larger pool of capital than is typically available to startups. If needed, the federal government could provide guarantees to make some securities more appealing to investors. An advisory board of government officials and industry executives would likely pick a private manager to operate the fund, and the government’s stake in it would be capped at 25 percent. The investment fund aims to help bridge what’s known in the biotech industry as the “valley of death” — the earliest and riskiest stages of drug development, which typically scare investors. Companies developing drugs for rare diseases, however, have increasingly lured venture capital even in early stages. Last year, premarket companies focusing on drugs to treat rare diseases brought in $588 million in venture funding. That’s about 13 percent of the total venture funding for emerging drug companies, according to the Biotechnology Industry Organization, a trade group. At least 25 million Americans suffer from a rare disease, such as cystic fibrosis or sickle-cell disease. Lo’s idea to apply financial engineering to biomedical research has morphed significantly since 2012, when he first proposed the $30 billion fund to develop cancer drugs. Lo said he believes the investing climate is now better, with biotech valuations booming, and said he has heard more receptivity to the idea of a pooled fund. He described rare diseases as an easier market to enter, with quicker prospects for success, than cancer drug development. Lo is admired by colleagues as a brilliant economist, but his funds have sometimes underperformed. One fund he designed to use derivatives to mimic hedge-fund strategies consistently disappointed for nearly five years, until it was liquidated in 2014.